There are over 60 billion farm animals in the world today—over eight times the human population. Farm animals require an enormous amount of feed, fresh water, medicine and fossil fuel. Over two-thirds of the crops we grow in the US are fed to farm animals. Raising livestock produces greenhouse gases, emits water pollutants from the wastes, and requires ever-more living space, resulting in ecological destruction. According to a recent report published by the United Nations Food and Agriculture Or ganization, the livestock sector generates more greenhouse gas emissions, as measured in CO2 equivalence, than all transportation activities. More powerful as a greenhouse gas than CO2, methane is a byproduct of digestion and waste lagoons. A switch to a vegetarian diet would reduce greenhouse gas emissions by 3,267 pounds per person per year. 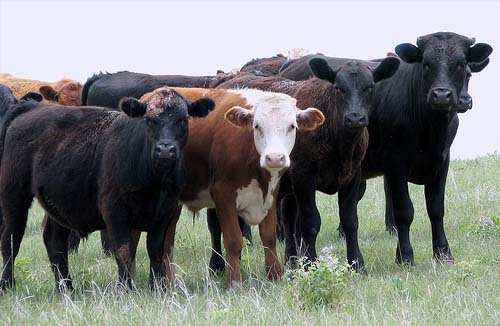 Raising cattle is the primary cause of soil erosion in the US. Large parts of the Amazonian and Central American rainforests are being cleared to either grow food (primarily soybeans) for cattle, or for grazing land. These all further contribute to global warming and ecological destruction. There are 9 billion farm animals in the U.S. and 60 billion worldwide, and each year they excrete 130 times more waste than humans do. In 1997, poultry, swine, beef, and dairy facilities produced a total of 291 billion pounds of animal feces and urine. Much of this untreated waste ends up in rivers and streams; it is one of the largest sources of water pollution in the U.S. It often results in massive fish kills. Farm animal waste can also contaminate groundwater and raise nitrate levels, creating a serious public health threat —high nitrate levels near large farm animal operations have been linked to miscarriages and cancer. Fishing is destroying the ocean’s ecology. 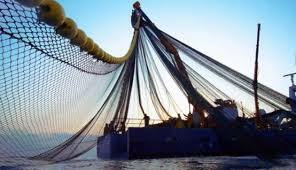 Long nets used by industrial fishing boats catch many non-food species of fish which are then thrown back dead or dying. These species, which have been killed for no useful purpose, are removed from the oceanic food chain causing massive ecological destruction. Fish farming also generates a lot of waste. These fish are held in pens and are fed huge amounts of concentrated protein pellets. The leftover pellets, and the waste from the fish themselves, sink to the bottom of the ocean, generating bacteria which consume the oxygen that shellfish and other bottom-dwelling sea creatures need to survive, thus destroying their habitats. Agriculture uses 17 percent of all the fossil fuel in the U.S., with meat production responsible for the majority of that portion. To grow the crops required to feed all the farm animals, large quantities of fossil fuel are required to produce fertilizers, pesticides and herbicides, to fuel irrigation pumps, and to run the farm machinery needed to apply the fertilizers and pesticides, plant and harvest the crops. Once the crops are harvested, they are transported to where the animals are being raised. The animals are eventually trucked to slaughterhouses, and then their flesh is kept in refrigerators and freezers while being stored and transported to stores. All this takes even more fossil fuel. Just as some people make their transportation choices with fossil fuel conservation in mind, many people are also making their food choices with fossil fuel conservation as a priority. The fact is that getting protein from animals is very costly and inefficient. It takes much more oil to produce a unit of animal protein than it does to produce a comparable unit of plant protein. The same is true of calories: for instance, corn gives 60 times more food energy than beef per calorie of fossil fuel used in production. It takes about 5,200 gallons of water to produce a pound of beef, about 1,700 gallons of water to produce a pound of pork and about 800 gallons of water to produce a pound of chicken. Suppose a person chooses to eat a 4 ounce serving of beef, a 4 ounce serving of pork and 4 ounce serving of chicken in a day. They would use up about 1,300 gallons of water in the beef production, about 420 gallons of water in the pork production and 200 for the chicken production, giving a grand total of 1,920 gallons of water in just one day. On the other hand, it takes about 530 gallons of water to produce a pound of soybeans, about 370 gallons of water to produce a pound of corn and about 230 gallons of water to produce a pound of wheat. If a vegetarian chooses to get his nutrition from plant sources such as tofu, wheat and corn and uses 4 ounces of each ingredient during the course of the day. He would use up about 132 gallons of water through soy production, about 92 gallons of water on raising corn and about 59 gallons on the production of wheat, giving a grand total of 283 gallons of water. He therefore saves 1,637 gallons of water over the meat-centered diet every single day. See all our postings on the environment, or use the search option in the header to find specific topics. www.worldwatch.org – An international organization working for a more sustainable world. Their research provides valuable insights into the impact of animal agriculture on the environment, especially on global warming.